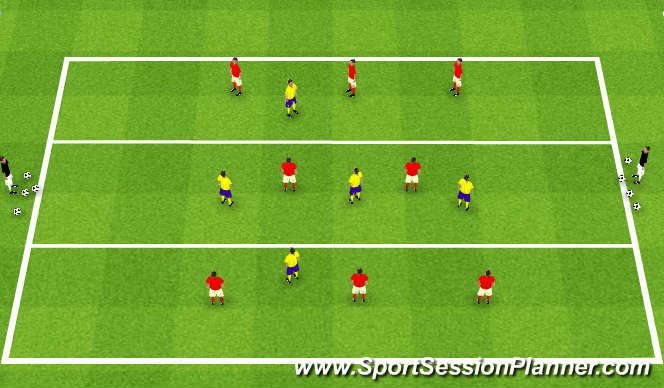 This time realistic so looking to get space and be physical and push on your man set back to player 1. alternate positions.Player 1 starts the practice and passes in with pace. Holding the ball up and supporting run. Player 1 starts with the ball. 3 players marked man to man move about in the second grid. The coach shouts out 3, 4 or 5 and in this case player 3 goes and shows for the ball and holds it up. 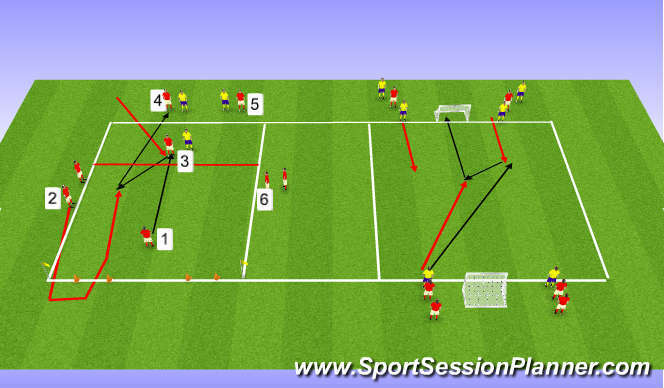 As soon as the ball is passed then the supporting runner,player 2,sprints through the gate and receives pass of striker and plays down the line to a player in the end grid (4 or 5) who shows for it and holds it up again.Work both sides. 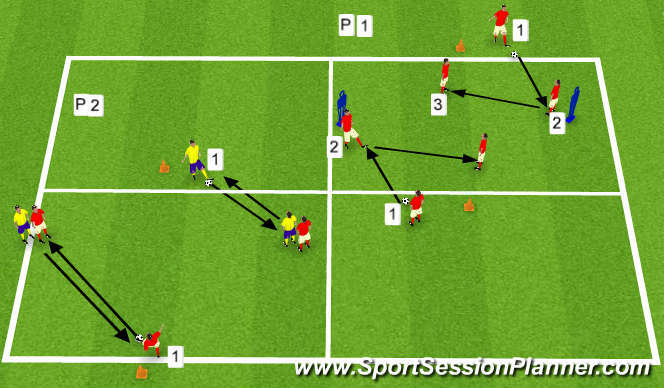 Possible progression if time: 2 v 2 holding up the ball with two supporting runners, 1 touch finish. 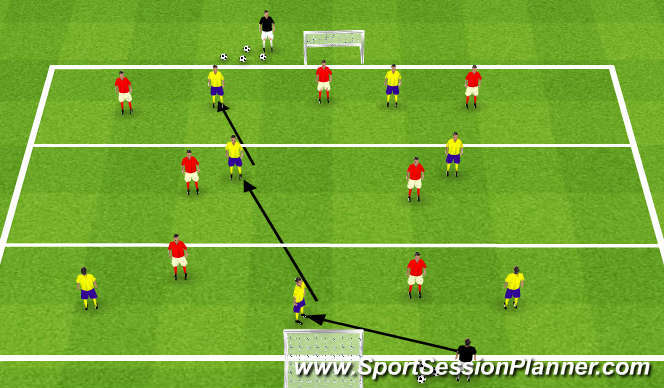 Key Targets: Coach the midfield to get on the half-turn, movement off the ball when in possession. Can use the coaches on the outside for support. If pass into a 1/3 then can go in and support player.